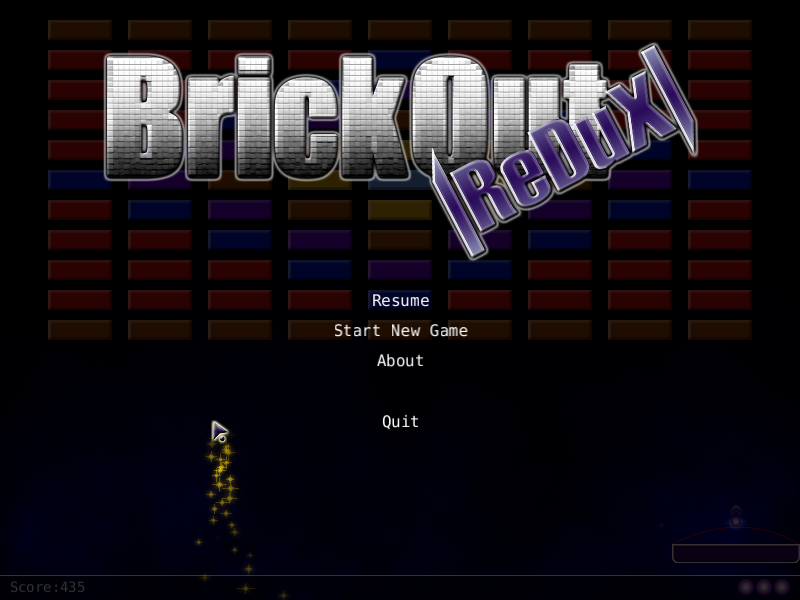 About: BrickOut |ReDuX| is a 2D OpenGL accelerated game written entirely in C++. 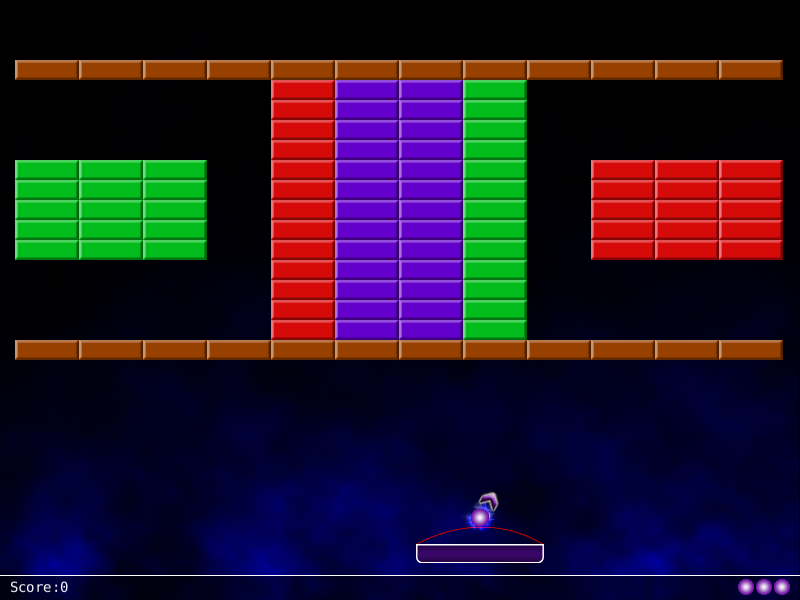 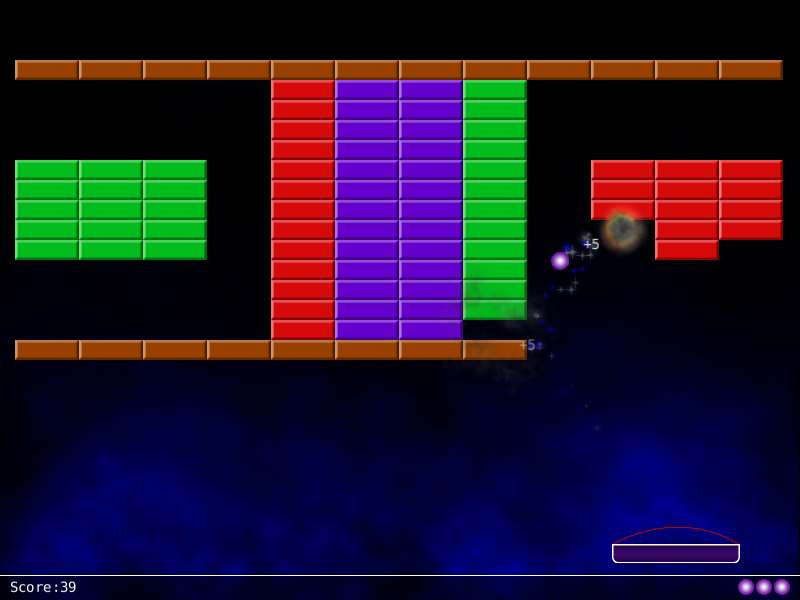 The goal of the game is to clear all of the bricks in each level using a free moving ball and a user controlled paddle. Controls: Mouse – controls the position of the paddle. 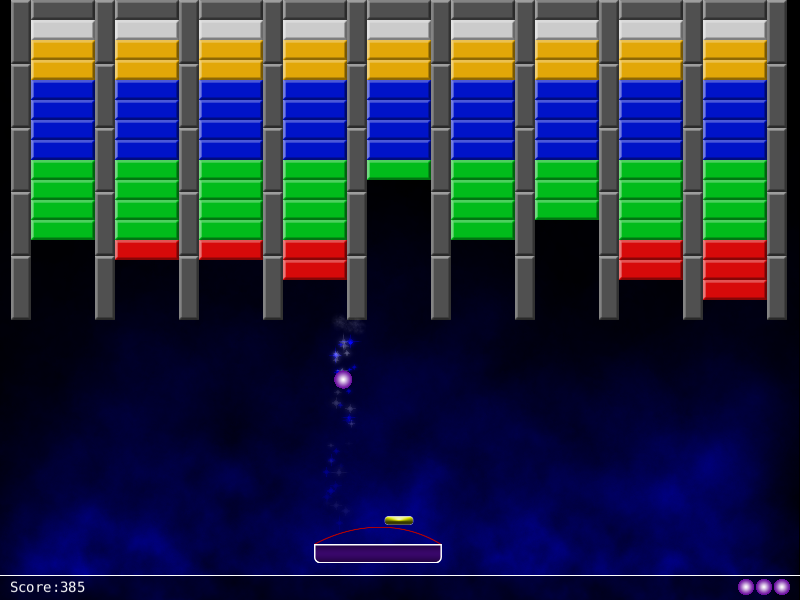 Left Mouse button – launch the ball (if it is attached to the paddle). 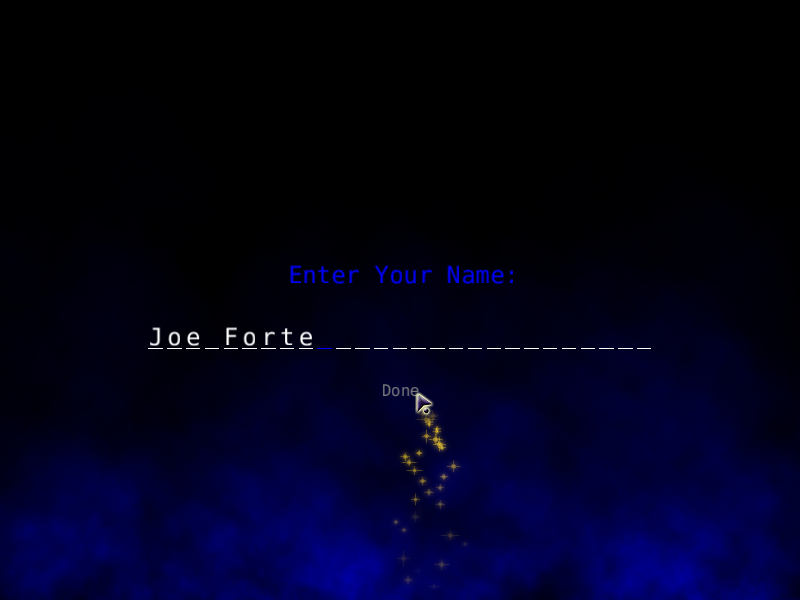 ESC – opens/closes the in-game menu. 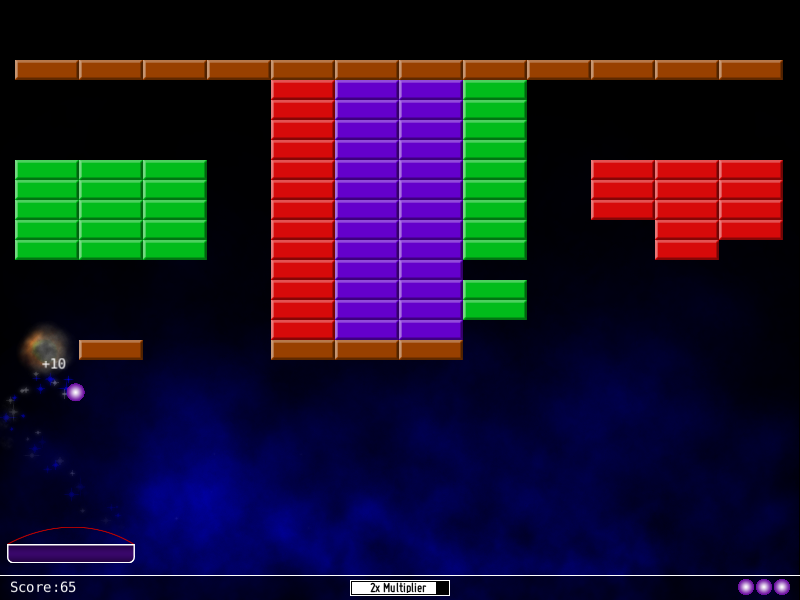 p – pauses the game. 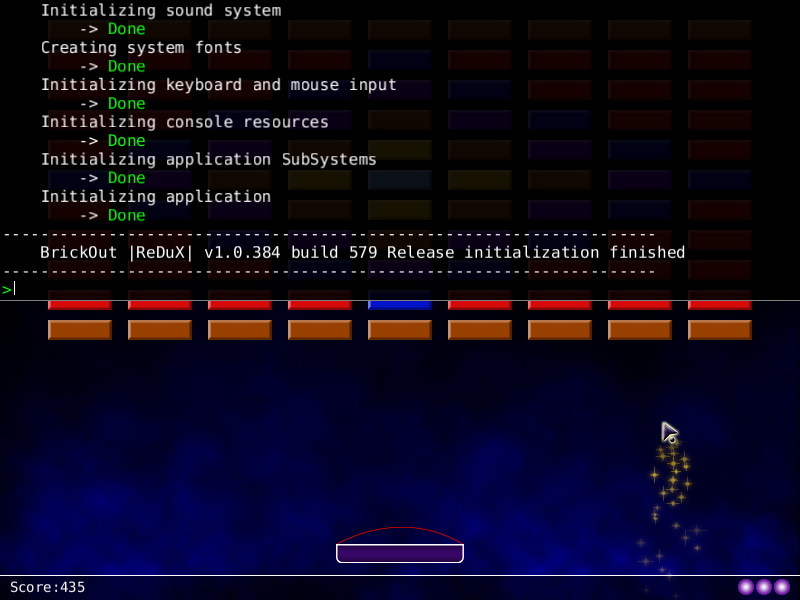 ~ – open/close the console (for debug and development use). 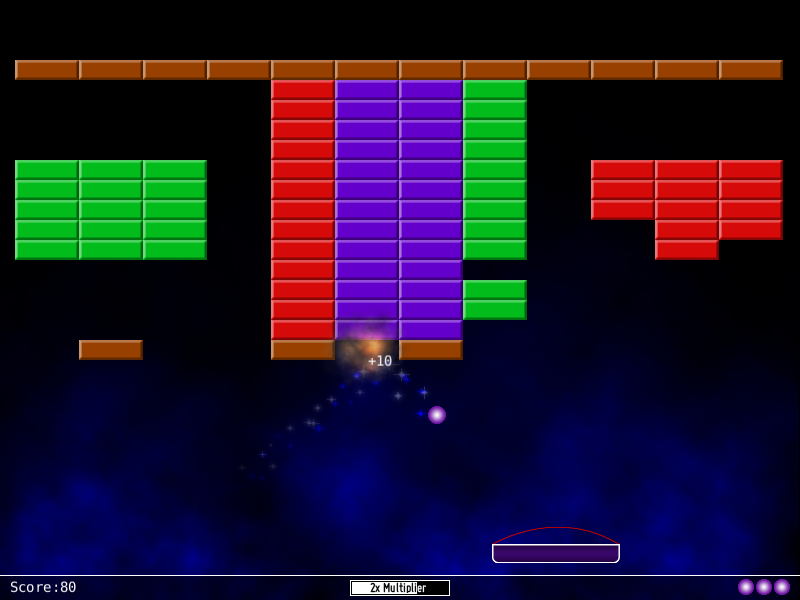 F5 – takes a screenshot.